A poet, translator, publisher; He was regarded as one of the "Generation of 1968," poets whose careers were started with political events in March 1968, and December 1970. 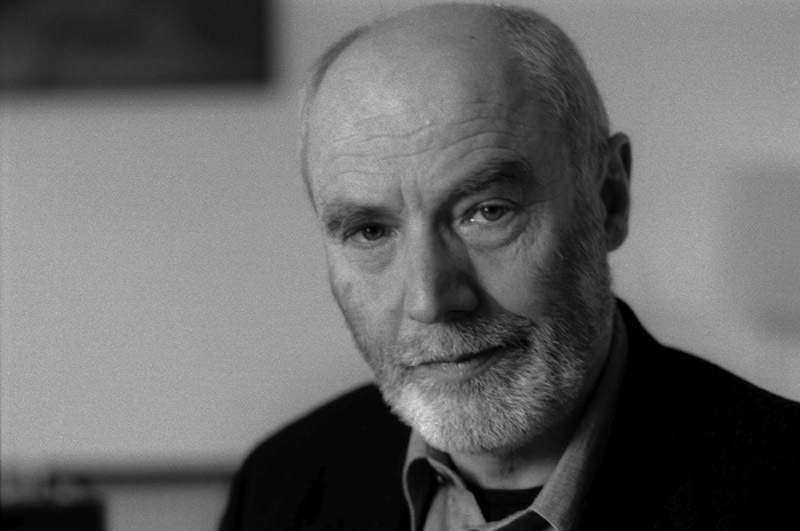 Born in Sankt Valentin (Lower Austria) in 1943, he is considered one of the most important contemporary Polish poets, as well as is a major translator and publisher. He was regarded as one of the "Generation of 1968," poets whose careers were accompanied at the start by the political events of March 1968, and December 1970. His first poems were characterized by an abundance of poetic devices and an accumulation of images. The world was depicted as hostile and threatening, and reality as a nightmare of chaos, emptiness and nothingness. The lives of the protagonists of the poems were characterized by unknowing, a feeling of having been "expelled" from an incomprehensible reality, and spasmodic escapes. This oppressive vision could be interpreted in political as well as ethical or metaphysical categories. An important element in Krynicki's poetry at the time was the way it concentrated on language in order to discern the falsehoods perpetrated in language by the totalitarian ideology. The goal was to escape from the lies of communist "new-speak". At a certain point, Krynicki's verse underwent a spectacular transformation. The dense, baroque poems were replaced by ascetic forms only a few lines long. Escape, as one critic saw it, was replaced by a determined spiritual pilgrimage. Krynicki's poetry grew according to an imperative of internal self-perfection, cleansing the world of falsehood, and refusing to submit to various concepts of nothingness. The miniature verses were intended not so much as works of art that would amaze readers, but rather as vehicles and spaces for contemplation and empathy with the world. Characteristically, Krynicki began going back to his own earlier poems and printing them in variant versions, sometimes quite numerous, on the assumption that a poem is never something closed and capable of existing by itself, but is rather a voice constantly speaking anew, evolving, a step on the road to the greatest simplicity and comprehensibility. In 1975, he was a signatory of the "Protest of 59" against proposed changes in the Polish constitution. He associated himself with the opposition and engaged in clandestine political activity; as a result, he was banned from official publication in 1976-1980. He was awarded the Kościelski Prize in 1976. In 1988, he founded the a5 publishing house, which concentrates on contemporary Polish poetry, including the work of Wisława Szymborska. He has translated such German writers as Brecht, Gottfried Benn, Paul Celan and Reiner Kunze. After spending most of his life in Poznań, he now lives in Krakow. Pęd pogoni, pęd ucieczki (The Impulse to Pursue, the Impulse to Flee). Warsaw-Poznań: ZSP, 1968. Akt urodzenia (Birth Certificate). Poznań: Wydawnictwo Poznańskie, 1969. Organizm zbiorowy (The Collective Organism). Krakow: WL, 1975. Nasze życie rośnie. Wiersze (Our Life is Growing: Poems). Paris: Instytut Literacki, 1978. Niewiele więcej. Wiersze z notatnika 78-79 (Not Much More. Poems From the Notebook 78-79). Krakow: Krakowska Oficyna Studentów, 1981. Jeżeli w jakimś kraju (If in Some Country). Underground publisher S.i.s.n, 1982. Ocalenie z nicości (Salvation from Nothingness). Krakow: Świt, 1983. Niepodlegli nicości (Independent of Nothingness: Selected and Revised Poems and Translations). Warsaw: NOWA, 1988. Magnetyczny punkt. Wybrane wiersze i przekłady (The Magnetic Point: Selected Poems and Translations). Warsaw: CiS, 1996. "Kamień, szron", Kraków: Wydawnictwo a5, 2005. "Wiersze wybrane" (Selected Poems), Kraków: Wydawnictwo a5, 2009. "Kamień, szron", Kraków: Wydawnictwo słowo/obraz terytoria, 2011. German: Um niemanden zu verletzen. Gedichte aus Notizbüchern. Neu Isenburg: Tiessen, 1991.Wunde der Wahrheit. Gedichte. Frankfurt: Suhrkamp, 1991. Ryszard Krynicki's volume Kamień, szron ("Stone, frost"), published in 2004, has been nominated for the 2005 Nike Award.